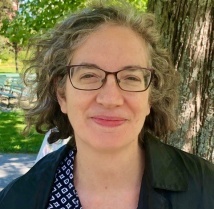 A social anthropologist, Lindsay DuBois conducts research on the politics of culture and the relationship between culture, history and political economy. She considers these questions with respect to particular and concrete experiences of individuals and social groups in Argentina. Dr. DuBois is currently developing a research project on social welfare policies which aim to reduce child poverty and child labour in Argentina. Her planned fieldwork in Mar del Plata, Argentina will examine the material and non-material effects of this program for the children and families which are its objects. She is winding up an oral history project with radical activist pensioners in Buenos Aires, asking questions about where activism comes from and what sustains it over time. Previously, Dr. DuBois conducted ethnographic fieldwork on the politics of the past in a working-class housing project in La Matanza, a suburb of Buenos Aires. Addressing the period from 1972 to 1992, this work examined the lasting impact of political repression and neoliberal restructuring on the lives of working-class Argentines. (2014) "Memory and Narrative," pp. 347-363 in Donald M. Nonini (ed.) The Companion to Urban Anthropology. Wiley-Blackwell. (2014) “The Romance of reminiscence: Problems posed in life histories with activist pensioners in Argentina,” pp. 236-249 in S. High, E. Little, and T. R. Duong (eds.) Remembering Mass Violence: Oral History, New Media and Performance. Toronto: University of Toronto Press. (2013) Activist Pensioners, a Contradiction in Terms? Argentina’s Jubilados. Anthropology & Aging Quarterly 34(2): 170-183. (1999) “Valiant ladies: Gendered dispositions in Argentine working class memories.” Social Analysis. 43(3): 6-25. (1997) “Past, Place and Paint: a Neighbourhood Mural Project in Suburban Buenos Aires,” Anthropologica. 39:7-15.